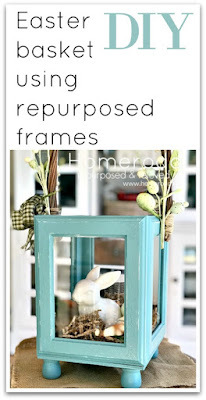 I was bound and determined to find a use for these frames that were leftover from my daughter's wedding. The wedding was 7 years ago and today is the day and since it's getting close to Easter I had an idea. 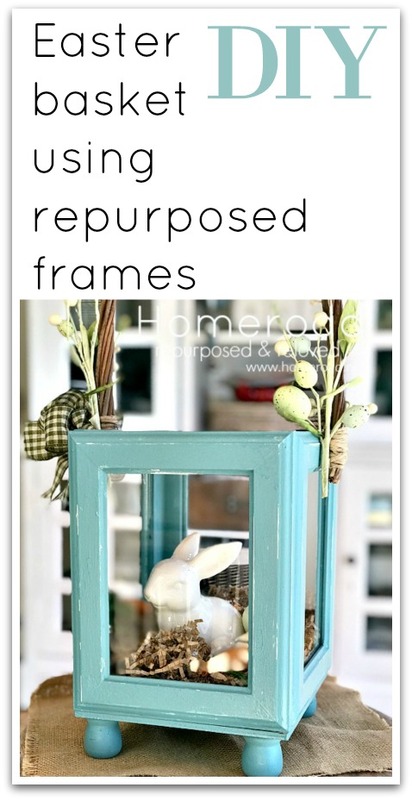 These frames originally came from IKEA. 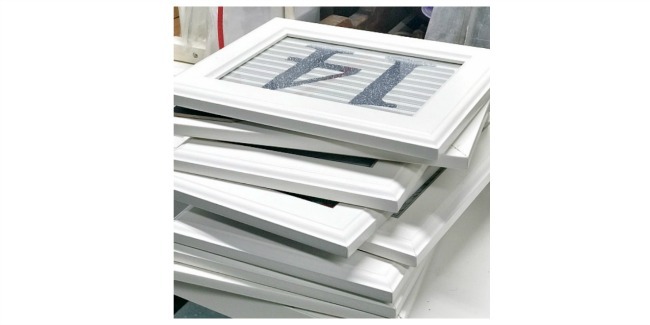 First I removed the backings and the glass from the frames then glued and nailed the frames together in a square. 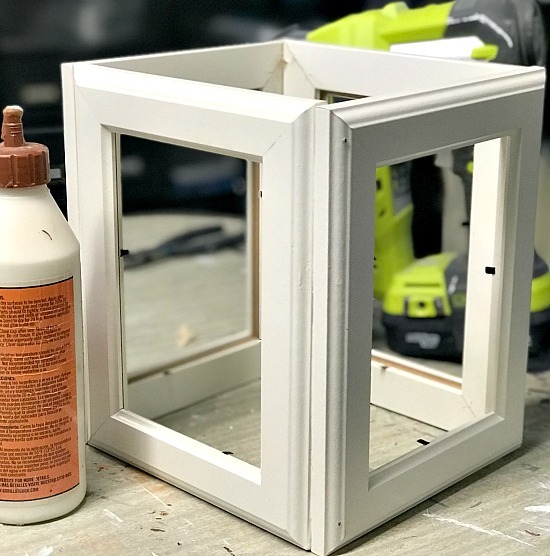 Before I was finished I also removed the points that held the glass into the frames then I cut a thin piece of plywood and nailed it to the bottom of the box. 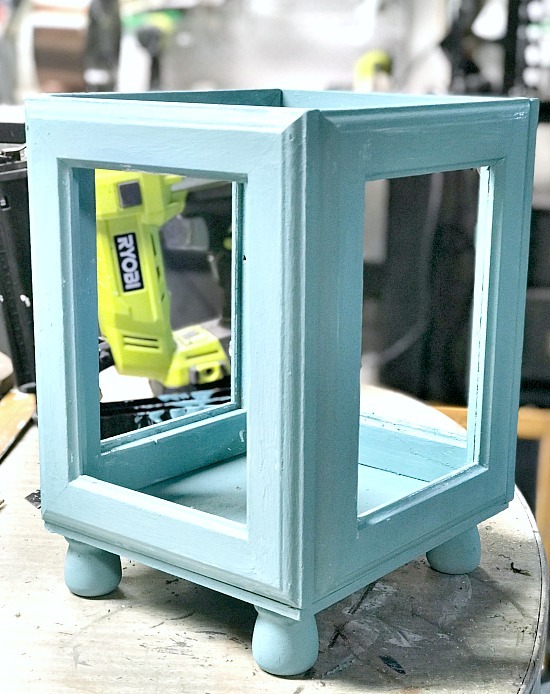 I added candle cups to use as feet and attached them to the bottom using E6000 glue. Then the next step was to paint the box. 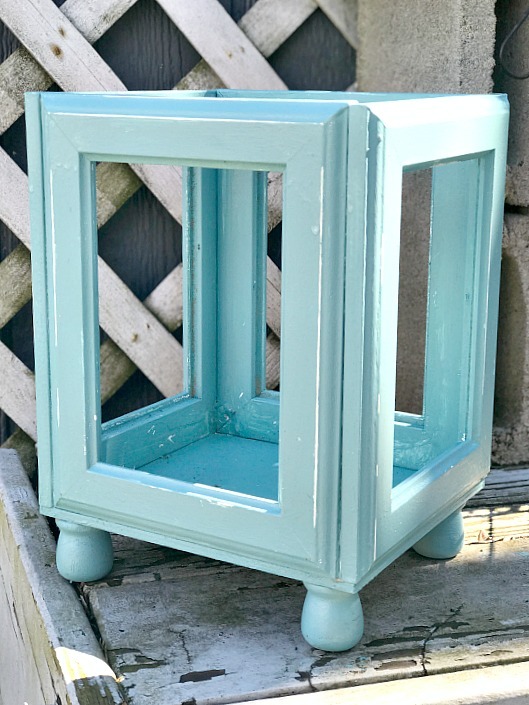 I used Annie Sloan Chalk Paint in Provence, then distressed the edges of the frames when it was dry I used a spray sealer to seal the chalky paint. The next step was to add a handle, I had a broken willow handle leftover from another basket project. I wrapped jute around the ends of the handle then attached it to the box with hot glue and nails. 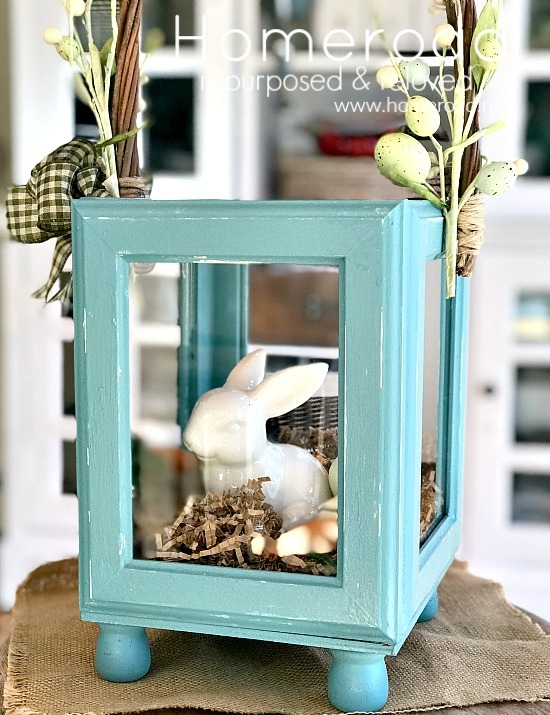 I attached a gingham bow and a few speckled egg picks to the sides of the handle then filled the box with Easter goodies. A fun Easter basket that I created as I went. I'm glad I saved those frames for so long! 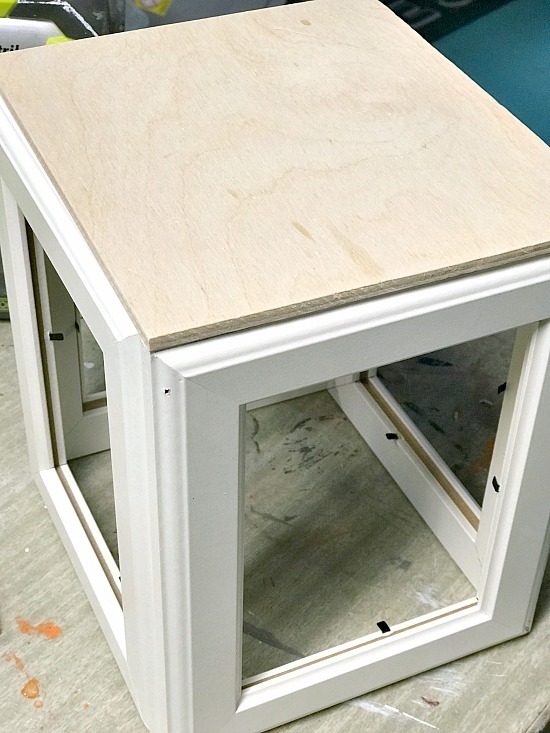 and have my latest DIY project sent straight to you! What a smart idea, Susan and ADORABLE!!! Love how you decorated them for Easter. Thank you so much for visiting Marie, it was an easy project and used up those frames that were laying around! I love this! I could see these being sold at Pottery Barn. So cute. Oh how clever and soooo cute! I love this! 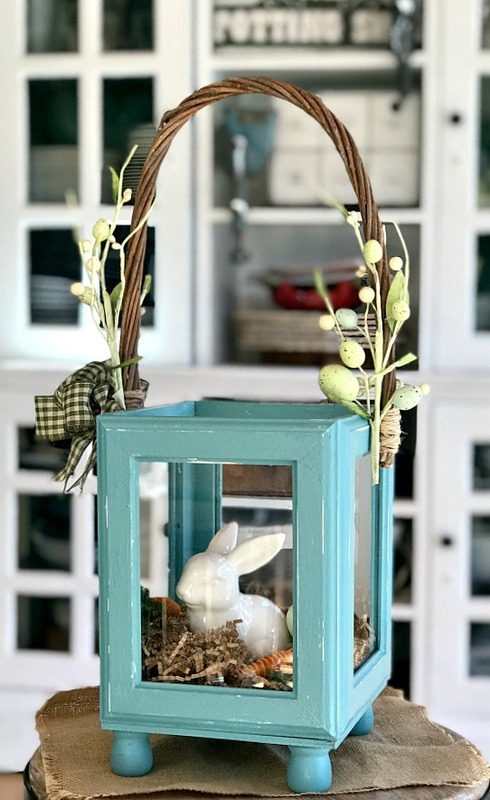 It makes the cutest Easter decor!